This post is inspired by Sing in the Rain by Moriah Peters. It seems like the past year I have been facing one storm after another. I hate hate hate being depressed so I choose to sing in the rain. Sometimes it starts as a grumpy hum. But, by the end of the song I’m resounding harmoniously. See the beauty in all things and you will be able to sing in the rain. Sing! 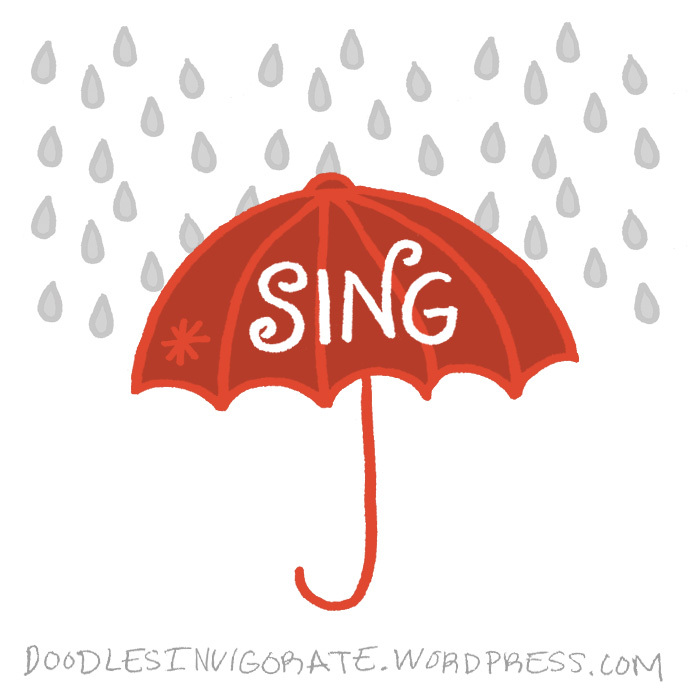 Thank you – I love that scripture- the words make my spirit smile – I am a rain singer too! Sometimes it is so hard to see the beauty in anything, when we are in crisis – but if we choose to sing, even if only a grumpy hum as you say to begin – or if there are tears of sadness flowing while we hum; a pure, lovely song will eventually come forth. Let’s extol the Lord with praise songs! I love that song and musicals! Enjoy the day, my dear! I hope you will take this one to heart! I love her CD! 🙂 I also like Well Done. oh yes that was the first of her songs I ever heard! she amazing!